Do you really have what it takes to run a successful content marketing campaign? 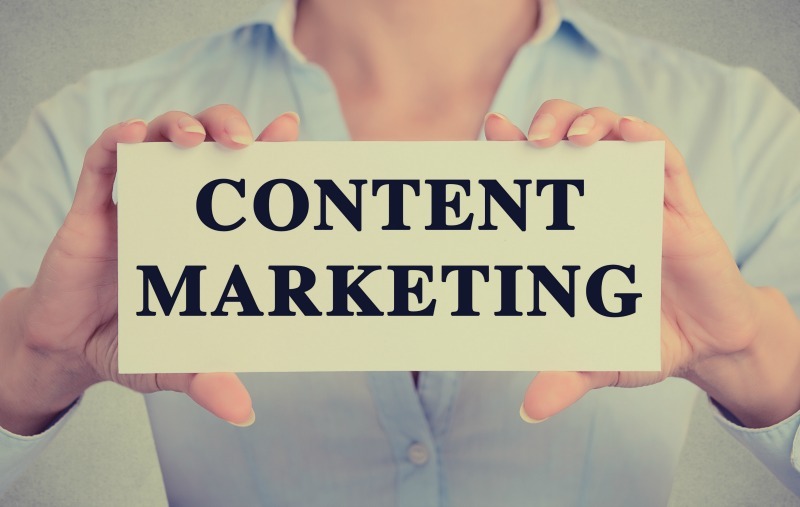 Sure, content marketing may sound straightforward: you just need to hire a writer, get someone to do outreach so they can spread the word about your content, send out e-newsletters, and take advantage of what social media has to offer (among many others). So you must be wondering, what’s so challenging about content marketing? Keep in mind that for you to get good results out of your content marketing campaign, you to need to create engaging, entertaining, comprehensive, and inspiring better-than-the-rest content. If you’re looking to learn about the critical things that would help make your content marketing campaigns a success, then this guide is definitely what you need. Think about the last blog post you wrote. Were you able to give your readers a clear guide as to how they can apply what you shared? Ideally, the consummate content should give your readers a clear sense of how to use the information you have provided. When creating content, realizing that your readers can range from experts to amateurs can go a long way. In line with this, take it easy with the jargons. When necessary, link out the key terms so you can provide your readers with a clearer explanation for terms. Fact: most internet users have short attention spans when it comes to content. To address this, you have to make your piece more visually engaging. Consider providing a clearer insight by using descriptive images or you can incorporate graphs to help substantiate your research and data findings. Simply telling your readers to “start building links” isn’t actionable at all. Instead of saying that, you can say, “send your guest post pitch to 10 websites daily”. As you may have noticed, the latter provides a clear direction of what the reader needs to do, versus the first one which is vague and unclear. If you want to produce content that people will find useful, you have to do more than just inform. You have to share something exciting and new. More importantly, you have to provide something that will both engage and motivate your audience to take action. You can learn more about actionable content here. What exactly are search engines for? Most people would think search engines are used to ‘deliver sets of answers’. And they are correct (at least to some extent). See, it is what Google does best. You type in a query and you are presented with pictures, links and videos that can address the questions you have in mind. The same kind of mentality should go into writing your content. Your readers should be able to get the answers they are looking for when they read your piece. Always make it a point to address their questions satisfactorily; otherwise, they would look for information someplace else. Pro Tip: Your readers want answers, and they want them fast. With that in mind, always make it a point to structure your content in a way that’s easy for them to scan. Make use of subheadings, bullet points, etc. so your content is easier for them to digest. Remember the viral ALS challenge? While many prominent individuals participated in the challenge, a few of them stood out. Think: Oprah, George Bush and Bill Gates. What do you achieve when you show influential personalities letting their guards down? Good content should not be a one-way conversation about what you have to offer. Instead, it should contain valuable information your audience can benefit from. Make an infographic. Share an image with an inspirational quote. If you are feeling extra adventurous, post a behind-the-scene video of what life is like in your company. Give your audience a glimpse of your firm’s personality so they can relate to you more. If you want to provide consistent content your readers will love, start monitoring metrics that will help you gauge the impact of your efforts. Metrics such as impressions, engagements, and follower growth among others, can help you identify what works and what doesn’t. In a nutshell, your headline should do more than just grab your reader’s attention. Ideally, it should promise a reward or benefit, in exchange for the valuable time they will spend reading your piece. At least 80% of people looking for content will read the content’s headlines. However, only 20% will read the rest of your content if they don’t find the headline interesting enough. How do you go about creating magnetic headlines? Without a powerful headline, turning a browser into a reader will prove challenging, if not impossible. Your headline is the first thing a prospective reader sees, so creating the best possible impression should rank high in your list of priorities. Be unflinching and promise your readers they will be learning something valuable when they read your content. Will you be teaching them a new skill? Will you guide them to do something they have not done before? Will you help them unlock the answers to a question they have been asking about for years? In essence, you should be subconsciously daring your readers to read your piece in its entirety. And then make sure you deliver what you promised. There’s a reason why numbers are often used in headlines – it works. Visit a grocery store and scan the magazines you can see in the checkout lanes. Take note of the front-page headlines. Regardless if it’s a tabloid or a fitness magazine, you will notice that a lot of them use numerals to start off their headlines. There are no rules as far as what numbers work best. However, using numbers to make your headlines more interesting is a definite thing. In most cases, people consume content because they are looking for solutions to their problems. It’s exactly because of this that you need to make your headlines descriptive. Otherwise, they won’t be able to tell at a glance if your content will in fact talk about the solution to their problems. A recent blog post that was published recently at Cohenandmalad.com is a good example of a descriptive headline. Because the headline says, “Summer Water Safety Tips for the Pool, the Lake, and the Boat”, it gives the readers a very solid grasp of what to expect in the write-up. Is your site positioned to convert browsers and readers into buyers of your products or services? Engaging a specific audience can be difficult. The good thing is, it can be done. If you need help with improving your content segmentation, the following tips should help get you off to an amazing start. Provide diversity and tailor your content. Let’s get one thing straight: customers have different ways of receiving and digesting information. To address this, consider using diverse content types (i.e. infographics, newsletters, quotes) so you can effectively engage with your target audience regardless of their preference. Convey your message directly to your target audience. When visitors come to your site or read your content, take advantage of the opportunity to deliver valuable content and targeted messages. In essence, content segmentation can help ensure your readers will get access to information that is relevant to them. Can you imagine the damage an inaccurate piece can do? Bear in mind that any content that you post automatically becomes a reflection of your company. If there are any issues regarding the accuracy of your content, it’s safe to assume it can significantly affect your reputation in the industry. It can also dramatically impact how people will view whatever it is that you have to offer. Accuracy will help build and establish your credibility. It will also help you effortlessly gain the trust of your readers. The more you can substantiate and back up what you are writing about, the more reliable your content will become. Choose authoritative and trusted sources at all times. Suffice it to say, linking to quality sites will help you build your credibility. When you link to other sources, it will become a lot easier for search engines to determine what your content is about and how it should be categorized. To establish your clout and authority, you need to consistently provide content that’s useful, relevant, and interesting. Also, your content should be substantial enough that people would want to share it using their social media accounts. The following 5 questions should help you easily gauge if your content is shareworthy. Does it offer the solution people are looking for? Does it address your target audience? Is your content relevant and timely? 8) Don’t slack off when mining data and doing outreach. Connecting with other webmasters and influencers to spread the word about your content is a must. That is, if you want people to start sharing and talking about your content. There are several tools that you can use to easily obtain a list of sites (or personalities) that are within your niche that are good candidates for your outreach. I have always been a fan of Ninjaoutreach because of how intuitive and effective the tool is. My suggestion is that you mine as many high quality niche related sites, and send outreach emails to as much people as you can. I tend to scrape all the search results from 3 – 5 search queries that are highly relevant to my industry, then send outreach to ALL the webmasters I’m able to qualify based on our guidelines. On one of the previous articles that I’ve written about how to guest post, I have included in the guide an excruciatingly detailed walkthrough on how to mine data and to qualify the sites. If you’re quite oblivious about the process and are wanting to learn about it, then you can check out my post here. 9) Invest in creating a powerful outreach template. Regardless of how many people you send outreach to, if your template is poorly crafted, you’re not going to achieve much from your efforts. If you follow these guidelines when creating your template, however, you’ll get decent to great results! Keep your message within 100 – 150 words. Make your headlines especially catchy. Be sure to tell them clearly what they’ll get if they’ll help you with what you need. Leave a clear call-to-action on your message. Content marketing entails commitment. You have to be able to identify the necessary pieces, integrate them and commit to the effort not just for weeks or months, but for good. While there is no shortage of ways you can adopt to get your content marketing off to a good start, incorporating the 9 key ingredients enumerated above is a huge step in the right direction. If you find the article helpful, please take the time to share it. Thanks!